The iPhone XS is the most advanced device Apple has ever created. It’s made form a surgical-grade stainless steel, it has a gorgeous new gold finish on the front and back, it has better cameras, and of course, there’s a bigger version to choose from: the iPhone XS Max. Brought to you by the expert team at Tap Guides, and written by best-selling technology author Thomas Anthony, iPhone XS Guidebook is packed with top tips and in-depth tutorials. You'll uncover the history of the iPhone's development from 2007 to 2018, learn about iPhone XS features such as Face ID, discover how to use iOS 12 and its built-in apps, plus much more. 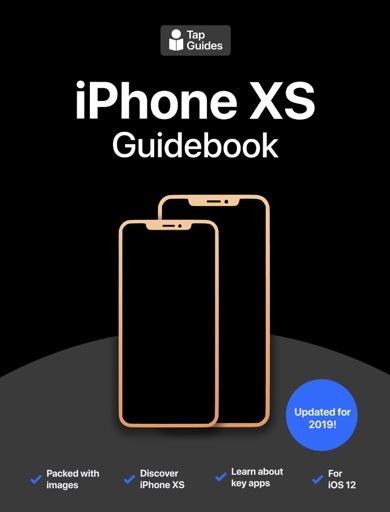 By the time you've finished reading iPhone XS Guidebook you'll be pro in nearly everything iPhone and iOS related.